Final Appeal is a new coming to the small screen in early 2018. The series will reveal the truth behind some controversial cases. 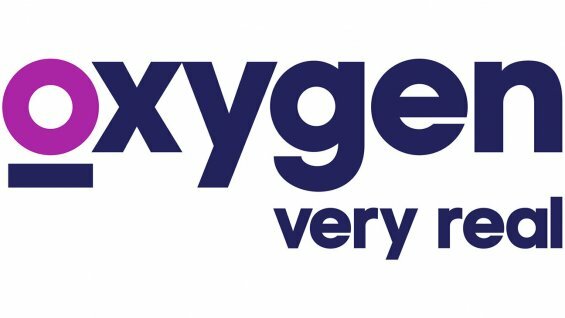 Oxygen revealed more about the series in a press release. Check that out below. “Oxygen Media, the new destination for high quality crime programming, premieres the new original real-time investigative series Final Appeal, following former football star and exoneree Brian Banks and former prosecutor Loni Coombs as they work tirelessly to uncover the truth behind controversial cases that may have led to wrongful convictions. Final Appeal premieres on Sunday, January 7 at 7PM ET/PT with a special two-hour premiere episode. Will you check out Final Appeal? Tell us what you think. More about: Final Appeal, Final Appeal: canceled or renewed?, Oxygen TV Shows: canceled or renewed? Hi my name is Rob and I wanted to say I have watched Final Appeal, I am curious , why do you have it start at such a horrible time. The chemistry between the two people is great and I hope it stays that way. I really hope this gets renewed and given a better time slot. This show is was SOOOO much better than Reasonable Doubt! The way they went ALL IN on the thevinvestigations and rechecking of the forensics, etc. Just much more detail went into the production of this version. However, while ID’s Reasonable Doubt is 2 seasons of 10 episodes each, according to IMDB, Final Appeal is referenced as a mini-series. That said, plus the fact that it’s been a year now, it doesn’t look like we’ll be seeing Final Appeal any more. Great show. Sadly there have been outrageous injustices fine in rush to justice! Outrageous that they convict a man with NO physical evidence and after his conviction the real killer confessed in detail the crime scene and ignores it. The cops excuse. “We already had a man convicted and we let him go and the guy recants he walks too!” Sad he was too lazy to put together a case! I support police put in man in jail with “blatant” lack or hiding if evidence should receive thatvsMe sentence as the convicted. We need more shows like this, and should be every week. I have been an advocate for 20 years like Brian. But inmates have no lobbyist, yet police, prosecutors, victims all have lobbyist. So shows like this are their voice to show how messed up our system is. For example in ohio we have the personal information system act ORC 1347..but under 1347.04 section “D” the courts, probation, parole and the ODRC are exempt from our personal information to be accurate. Been like this since 1999. Great show, have personal interest as I can tell you more about, if you get back to me. It does involve a woman that I believe has been wrongfully convicted and has spent 20 years behind bars. She is working on final appeals, but it is not easy. Just watched the premiere episode and it was great! Very compelling and kept me totally entertained and anxiously awaiting the outcome!!! I am watching now and have to remind myself that this is about a real murder and someone who might be in jail for a horrible crime she didn’t commit but I also feel like it’s a great mystery movie I am watching. I love Brian’s honesty & Loni’s leagal knowledge!! Thanks so much for this Series, I know there are unlimited stories that can be told. We need to change the Judicial System. We have too many innocent people in prison! I’ve been watching the ads for the show and I’m looking forward to the first episode. I’m sorry Brian was wrongfully accused and convicted. Yes, I will watch. I have learned quite a lot about our justice system because of my husband. It will be an inspiration to me to have you actually help some unfortunate inmate get true justice.